Preheat the oven to 350F (175C). 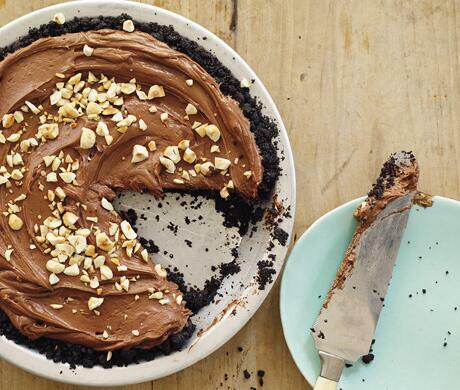 Pat the crust into a 9-inch (23-cm) pie plate. Bake it for 10 minutes, then let it cool completely. Make the filling: In a large bowl, using a hand mixer, or in the bowl of a stand mixer fitted with the whisk attachment, beat together the Nutella, mascarpone, and salt until light and fluffy. Spread the filling into the pie shell, cover it with plastic wrap, and refrigerate until firm, about 1 hour.